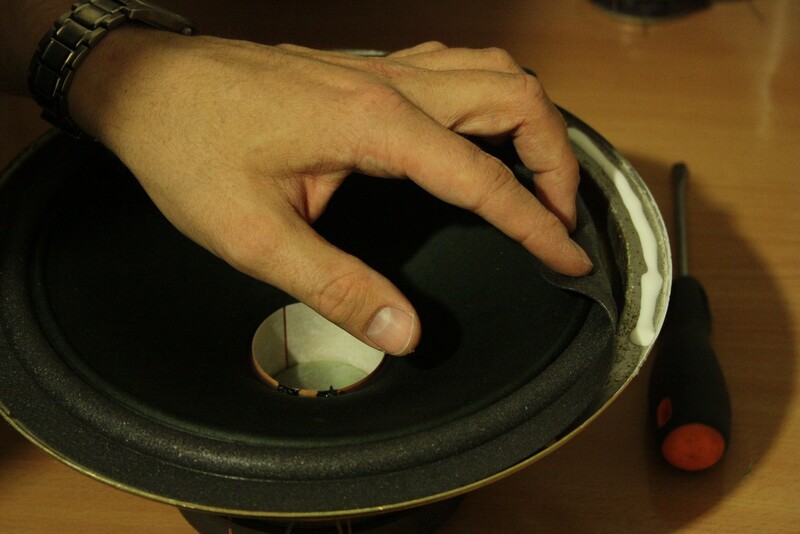 Every speaker have its own life time. 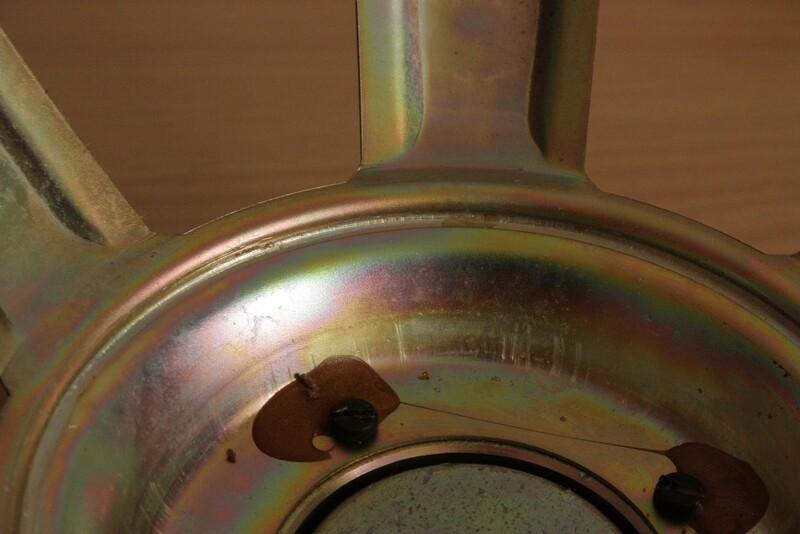 So it is natural, that after some time we need to buy new one. Now a days most of equipment is designed in that way, to be thrown out after maximum 5 years. I really don't like that fact, a specially when I have some old and good stuff. It is not that hard to replace broken part with new crappy one and after some short period of time spent another money on it and buy another one. 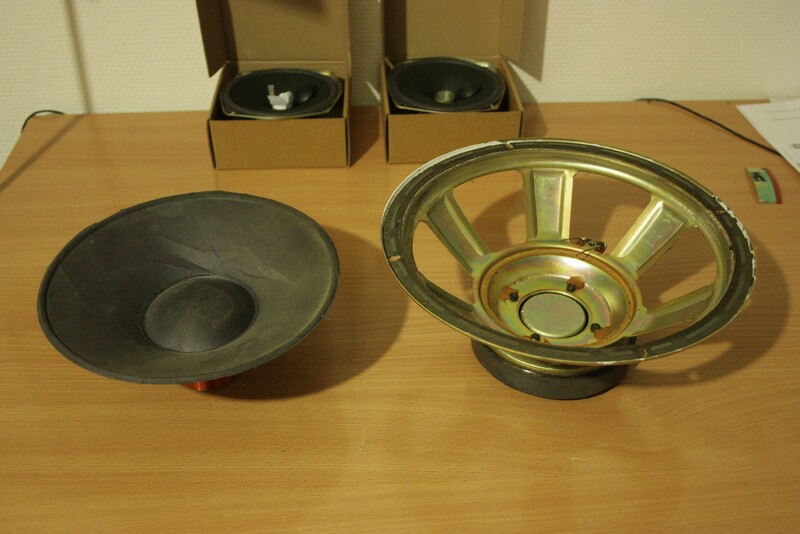 Therefore, when I got those two big speakers sets I decided to fix them, rather then replace. I search a bit Internet and found a few good advices telling how to do it and for what to pay attention. 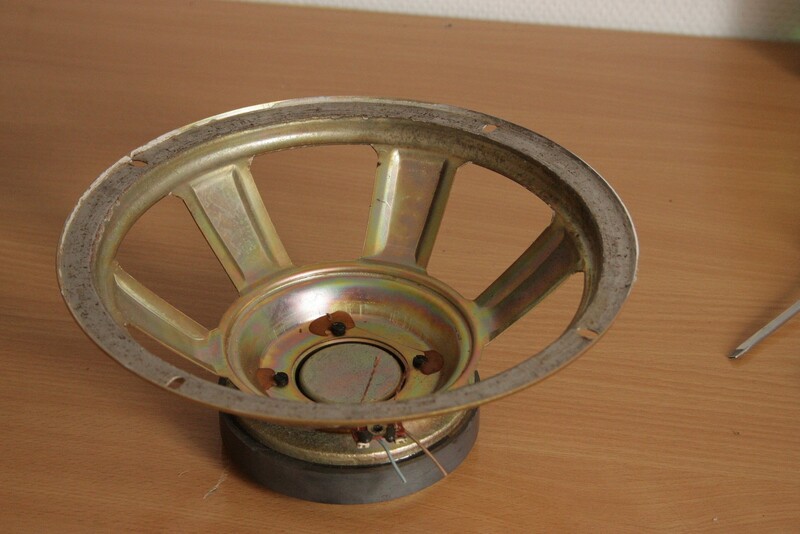 I also found a company that sels spare parts. 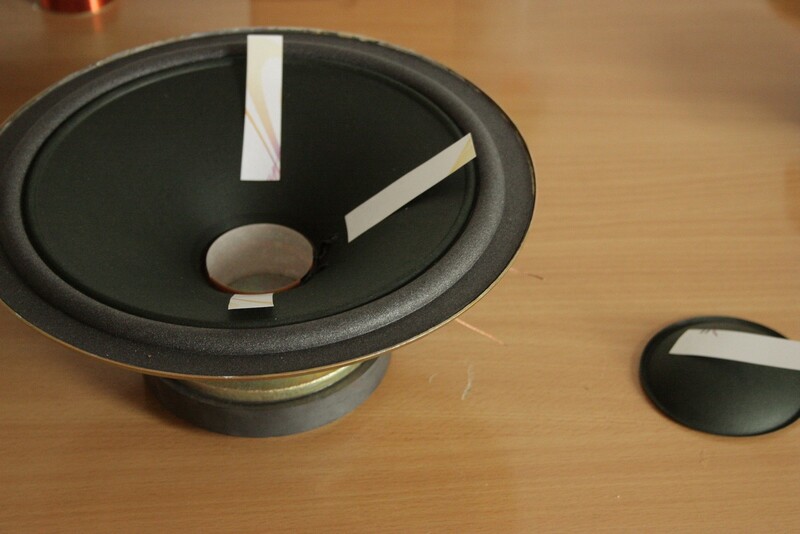 I had ordered them and when they came I start fixing. Below you can find documented proces of it :). Fixed set is Altus 110. In main role Tonsil: GDN25/40. On the beggining we need to disassemble old membrane. It shouldn't be to difficult when demage level is high. 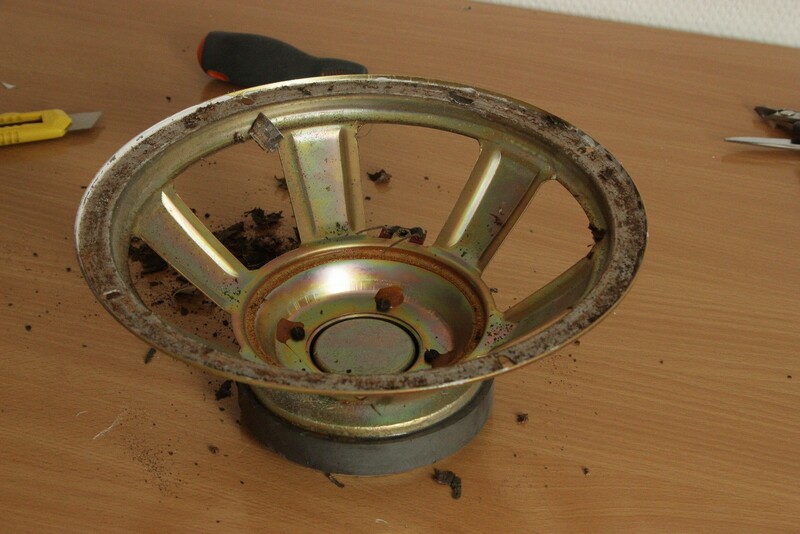 Now we need to clean up metal basket from remaining parts of old material. 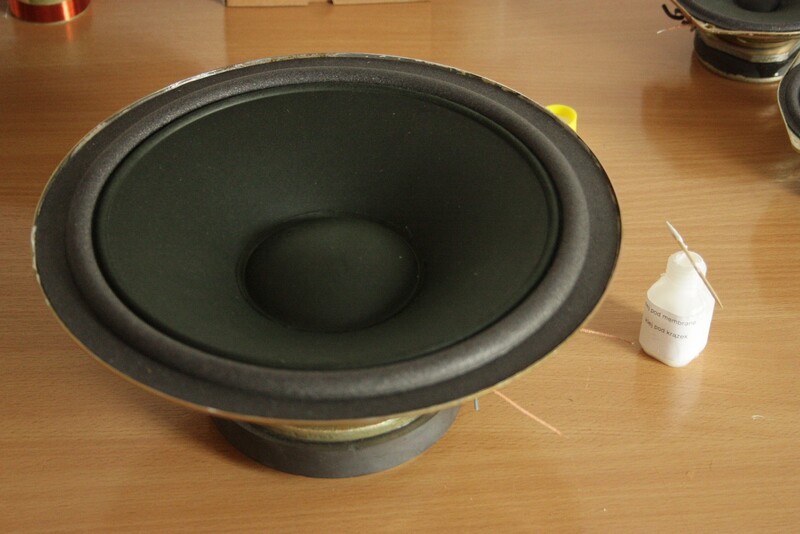 After two hours fight supported by nitro solvent we can reach this effect. From closer distance it looks like this. 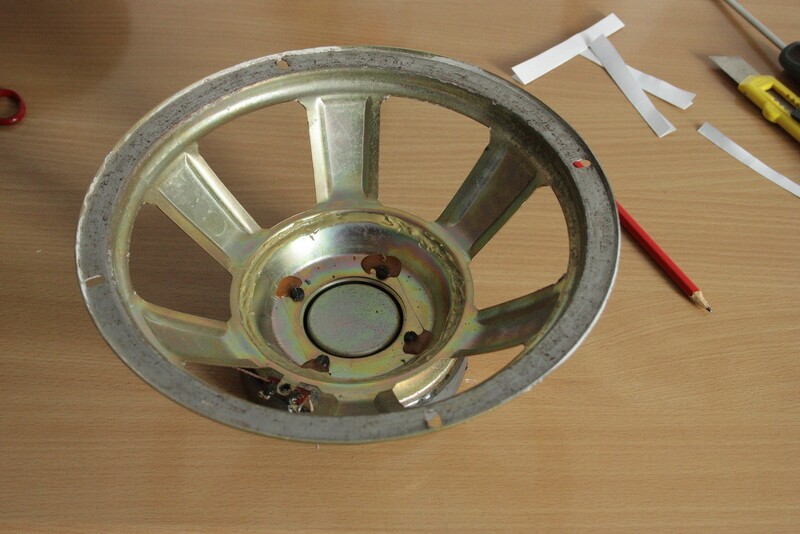 It is worth to clean it really very good, so no old glue would remain. Now we put new glue provided by producer of spare parts. Now the hardest thing. We need to mount membrane centrally in magnet row. To this purpose I used four papers cut in a thin stripes. 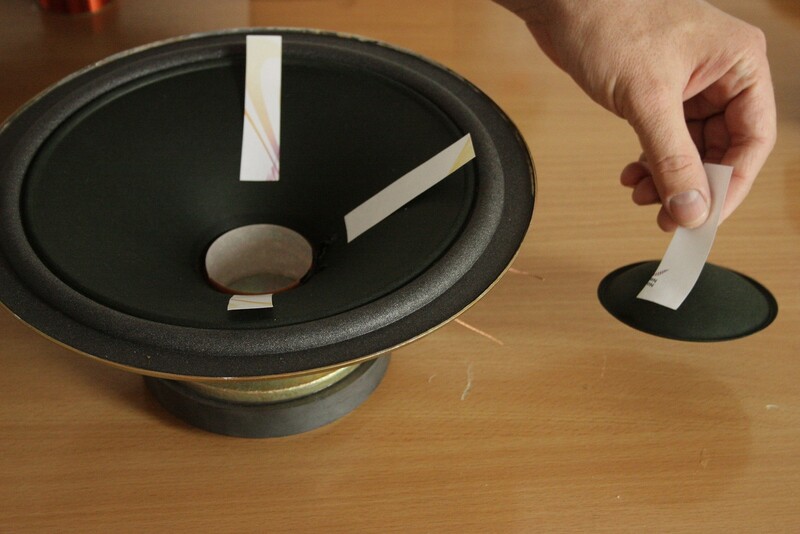 It is worth to try set up speaker without glue. 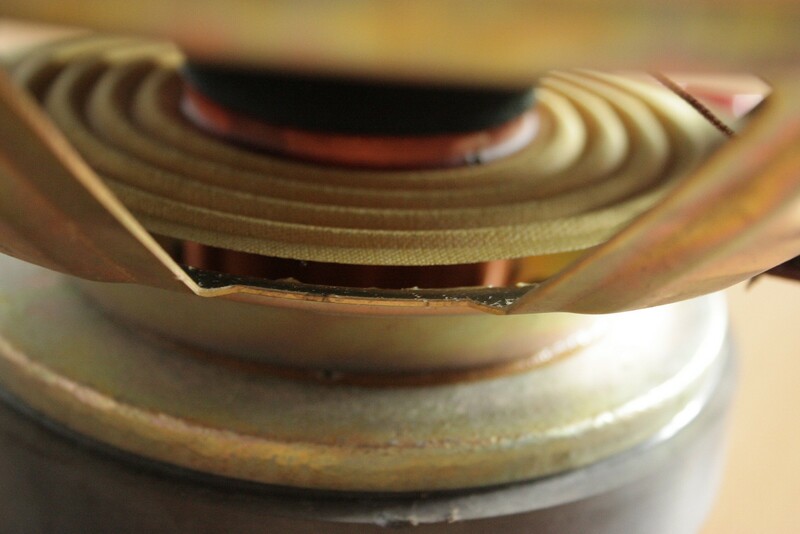 If this part won't be centrally in a row, coil will rub on walls and one day thin wire will be cut or isolation will be damaged what can cause shortcut and also damage power aplifier. 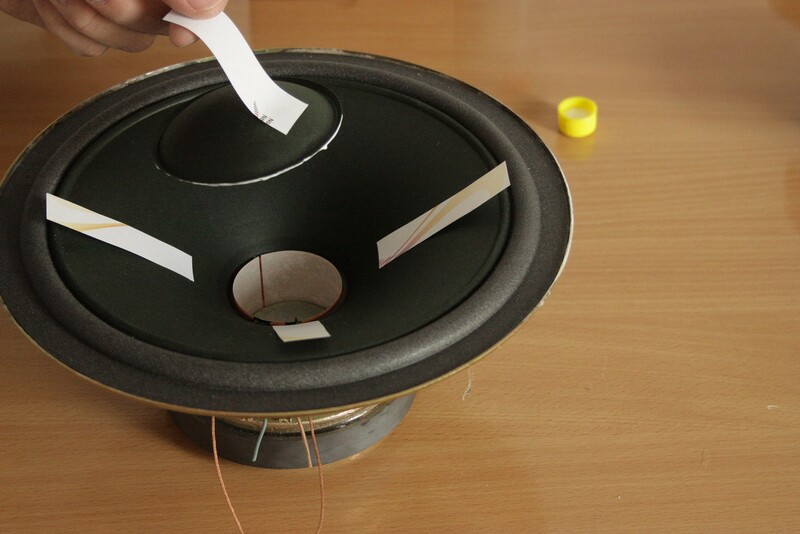 If you have signal generator then you can use it instead of paper stripes. Setting up small aplitude and some frequency (200Hz) we will let the physic do job for us. 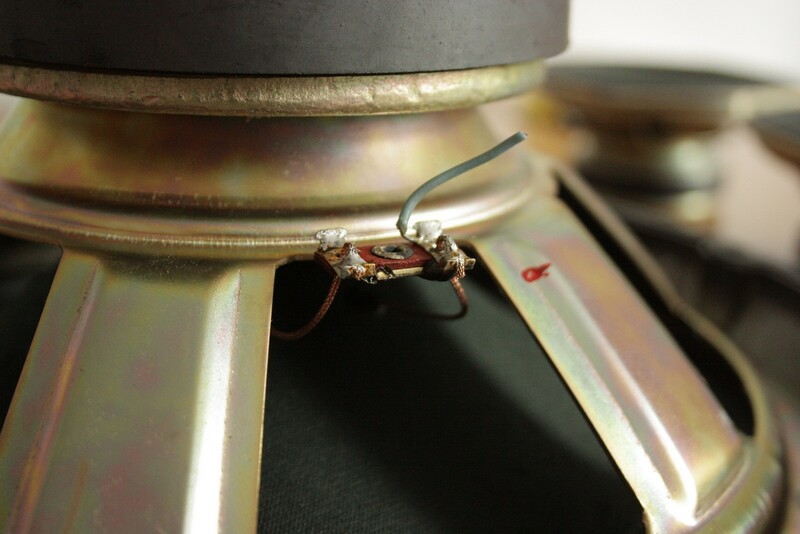 Magnetic field will set coil in the right place. You shouldn't allow membrane to set on a glue durring setting it up centrally. I used pencil and brush on both sides. That kind of distance let us to set membrane centrally before it will be sticked by a glue. 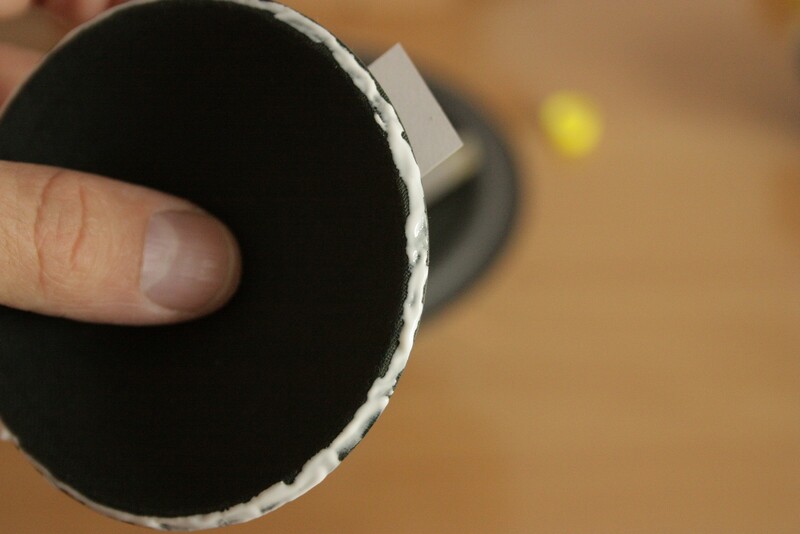 When it is on its place, you can remove protection and press slightly. After 24h, when glue will be dry, we need to mount suspension. Again, we can use glue delivered by producer or one dedicated to sticking wooden parts. Now the last part. 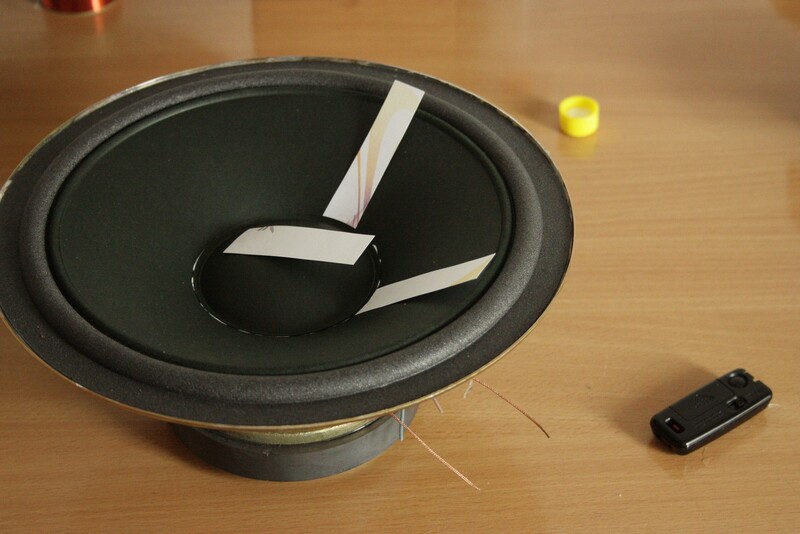 Basically speaker could play now, but you need to attach dome. 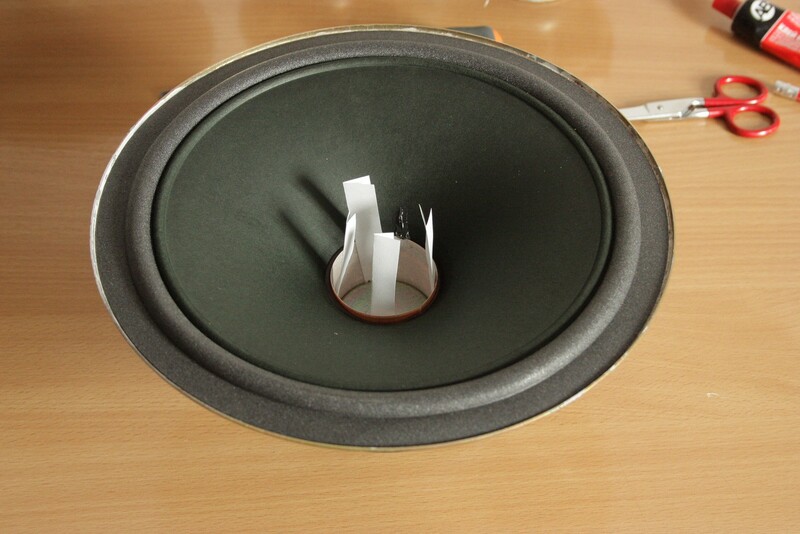 To avoid sittuation when it will be bandly mounted, you can again use memocards and try it without glue. When you think this is the right position, then mark it using paper stripes. At this stage you can remove previous distances. To grab and put a dome I used one of memocards. Put a glue only on the edge. 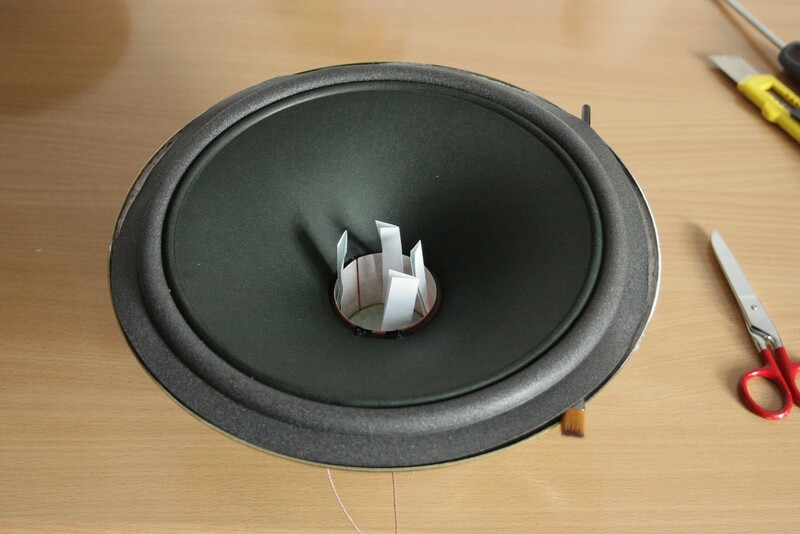 Speaker is almost ready, but you need to solder coil wires to holders. 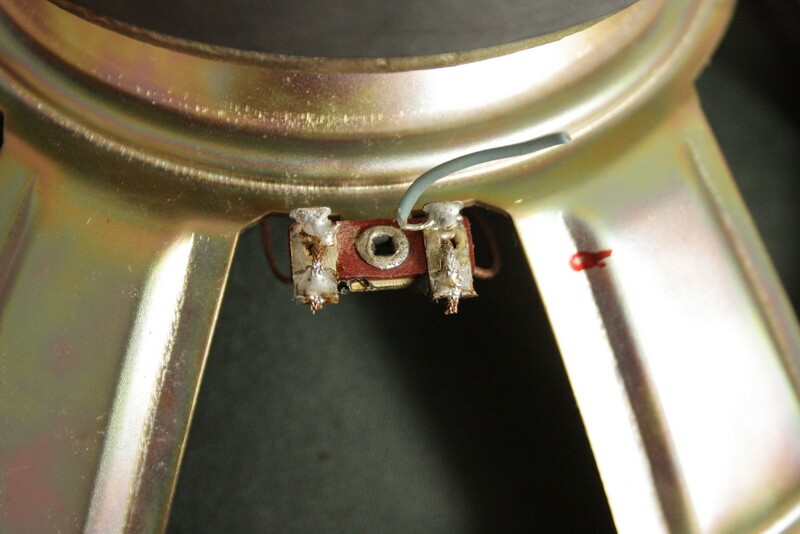 It is good to use some bigger amount of flux, because wire is made from many thin wires and don't like "eat" solder very well. This is it! I left a piece of old wire to remember where were connected original wires.